Water and Energy Minister trying to recruit MKs from Shas and the Jewish Home to support his possible presidential candidacy. Water and Energy Minister Silvan Shalom (Likud) has begun to recruit Knesset Members from the Shas and Jewish Home parties to support his bid for the presidency. As part of this bid, Shalom, who has yet to make an official statement regarding his intentions to run for President, arrived on Monday for a Purim celebration at the home of Shas MK Eli Yishai. MK Amnon Cohen, also from Shas, told the Knesset Channel that Shalom’s attendance at the celebration was an attempt to garner signatures for his presidential bid. "Silvan came to seek the support of Shas MKs in the presidential race. We will meet after the holiday and decide who will be President for the next seven years,” said Cohen. Meanwhile, Channel 10 News reported on Monday, Shalom also met in a coffee shop with MK Ayelet Shaked of the Jewish Home party, in an attempt to get her to support his campaign as well. The meeting with Shaked was held despite the fact that a third of the Jewish Home MKs have already lent their signatures to MK Reuven Rivlin (Likud). Nevertheless, reported Channel 10, Shalom is hoping to receive signatures from other Jewish Home members, as well as members of Yesh Atid. 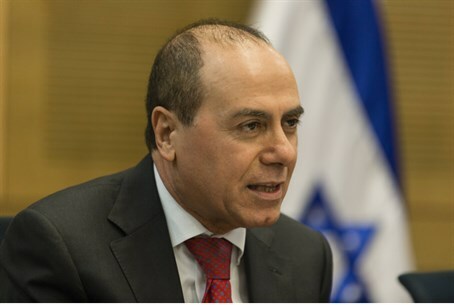 Analysts have predicted that Shalom will have difficulties receiving the support of Prime Minister Binyamin Netanyahu for his presidential bid, as the two have had tense relations for years. At the same time, Netanyahu is also not on good terms with Rivlin, so much so that a recent report indicated that Netanyahu was looking into the possibility of turning the election of the president into a popular vote instead of having the Knesset members elect the president. The race to succeed 90-year-old Shimon Peres as president when his term ends this summer has been a heated one so far. In addition to Shalom and Rivlin, Labor MK Binyamin Ben-Eliezer has already collected the ten signatures required to be a candidate and has been endorsed by his party. Another candidate is former Knesset Speaker Dalia Itzik, who has begun to collect signatures from MKs, with Shas’s Yaakov Margi being the first one to sign for her. Other candidates in the presidential election include Nobel Laureate Professor Daniel Shechtman, who recently announced his candidacy, as well as former Supreme Court Justice Dalia Dorner, president of the Israeli Press Council. MK Meir Sheetrit (Hatnua) also threw his hat in the ring recently and has been endorsed by his party.